Another PGA Show has come and gone, so I’m back with observations, thoughts, questions, and musings. I’ll also name my top products and brands. Being the resident optimist, I attribute that to the glut of really good products. In this golf market, no one is miles ahead of the field which is, in my opinion, healthy for the industry and really good for the consumer. 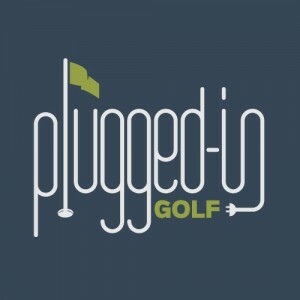 Product Releases at the PGA Show?!?! In a throwback move, a number of companies actually released new product at the PGA Show. Wilson and Srixon dropped new blades, PING officially announced the G410 line, and Bridgestone unveiled the e12 ball family. Lynx Golf unveiled the most unusual new driver technology at the show: Switch Face. Rather than making loft adjustments at the hosel – which affect the face angle – they are offering golfers the ability to screw in an entirely new face to change the loft. 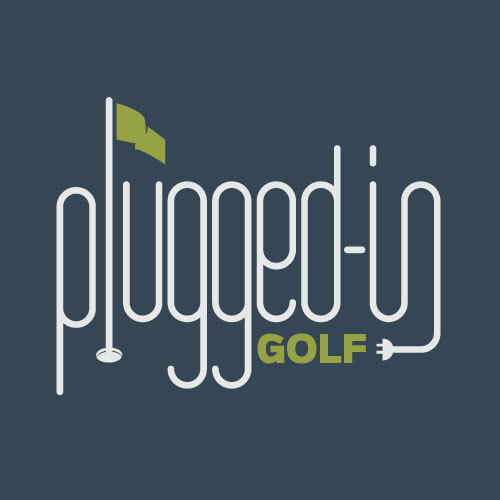 It’s a radical departure from the norm, and I will be very eager to see both how it performs and how it’s received by golfers. Last year there seemed to be a dozen companies offering golf skateboards, scooters, and bikes for single riders. This year, there was a notable newcomer (the Finn from Sun Mountain) but many of the others have fallen away. I got to ride the Finn, and it’s far and away the best single rider vehicle I’ve tried. The learning curve is non-existent. That said, I remain a little skeptical about the ability of single rider vehicles to gain traction. I am curious to hear about your firsthand experiences with these machines. Have you seen them at your course? Tried one? Did you like it? Hate it? One of my biggest disappointments with the 2018 PGA Show was the absence of good, new training aids. This year, there were several that caught my attention. Among the trainers that I look forward to reviewing in 2019 are Colour Path Golf, SQRDUP, and Live View Golf. Also, PuttOut continues to build their lineup with the release of a putting mirror that also functions as a gate. *Warning: this is my one cranky, negative take. I love having choices, but the barrier to entry in the putter market is clearly too low. Everyone who has ever laid eyes on a CNC mill thinks they’re going to be the next Scotty Cameron. Guys who do little more than put some lines on an ugly mallet think they’re revolutionizing putting. Someone please make it stop. A quick rundown of what’s notable from the biggest names. Callaway – With TaylorMade absent, Callaway was the unquestioned King Kong of the PGA Show. They had the most traffic at Demo Day, and their enormous booth was consistently full as well. From Epic Flash woods to Apex irons to Stroke Lab putters, they’re well positioned to have a huge year. Cobra – I have a strong feeling that 2019 is the year that Cobra finds its way into my bag. The driver looks outstanding, and they’ve taken major steps to improve the One Length irons. I’m also really intrigued by the One Length hybrids. PING – The Arizona-based OEM officially announced their G410 line with drivers, fairway woods, hybrids, and irons. In addition to a new hosel adapter, the G410 Plus driver also has movable weights, a first for PING. The hottest thing in the PING booth, the Blueprint iron, won’t be available until the summer. Bridgestone – You may not realize it but Bridgestone has been absolutely dominating the winner’s circle on Tour lately. They’re positioned to make big strides in 2019 with a new e12 golf ball and a re-imagined ball fitting process. Srixon & Wilson Staff – Both dropped beautiful new blades during the show. These are clearly clubs for the top 0.1%, but the other 99.9% of us can enjoy looking at them. Tour Edge – After the successful release of the EXS line in the fall, Tour Edge Exotics showed off their new CBX 119 hybrids and fairway woods. Expect to see plenty of those in play this year on the Champions Tour. Mizuno – Mizuno followed up the fall’s JPX 919 irons with new woods and a golf ball. Yes, a golf ball. Titleist – In a move that surprised no one, Titleist unveiled the 2019 versions of the ProV1 and ProV1X. Scotty Cameron also announced a massive line of new Phantom mallets. When we asked you what you wanted to see at the show, the most common response was “personal launch monitors.” Voice Caddie heard you and unveiled their new SC300. Priced at $500, it offers the ability to connect with an app and promises better accuracy than the SC200. I can’t pick just one thing here. Their new Major shoe looks great and promises Tour-level performance. They also have an on-course/off-course offering that takes lightweight to a new level. Finally, they’re planning a new Knit colorway to help fight MS (much more on this as it gets closer). While not brand new, the show was my first chance to see the 623 blade and the 4995 driving iron. Both look even better in person than in photos, and I’m excited to try them in 2019. My affection for this 1/1 may be directly related to my amazing experience at Pinehurst a couple months ago, but even those that haven’t played the course can appreciate the level of craftsmanship in this bag. One of golf’s most fashionable brands continues to put out apparel and accessories that make me smile. The skull and crossed tees pants are spectacular. There was a lot of good apparel at the show, but nothing stood out as much as PUMA. From elite footwear to performance apparel to fashionable off-course pieces, they’re covering all the bases. 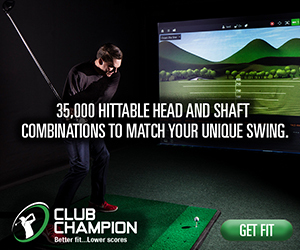 If you’re intrigued by Live View, check out Mirror Vision Golf. Does the same thing by utilizing an iPad and an iPhone through an app, no need to buy the Live View camera if you’ve already got the Apple products. Matt, any other insight on the major steps Cobra has taken to improve the one-length irons? I am extremely intrigued and almost ready to take the plunge, I just don’t want to jump in and realize I made a mistake. Are you specifically referring to the new F9 Series? Yes, my comments were in reference to the F9 series. We will have a full discussion of the improvements in the forthcoming review.